We reported earlier on a couple of updates headed to HTC devices on Sprint’s network, but as it turns out all handsets from the Taiwanese manufacturer are inline for an over-the-air patch. The new software tweak addresses privacy concerns raised when a security hole was uncovered earlier this month. 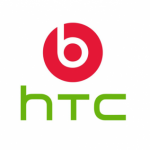 HTC promised a quick fix, and it appears the first round it ready. This update is targeted at the HTC EVO 4G HTC EVO 3D HTC EVO View 4G, HTC EVO Design 4G HTC EVO Shift 4G and HTC Wildfire S It’s rather small (>10MB) so you shouldn’t need worry about jacking into a WiFi network. More info can be found at Sprint’s support site (the link is found below). Orange’s San Francisco (otherwise known as the ZTE Blade) will soon get a sequel. After sales surpassing 2 million units, the the Blade/San Francisco will give way to the ZTE Crescent . The handset will be known as the Orange San Francisco II when it launches on the namesake network, but little other info is available. 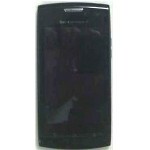 From the only low-quality image we have of the device it seems we could again see a 3.5-inch screen. The only other distinguishing feature is the presence of three Android buttons. A Bluetooth SIG entry pegs the phone for a European release (duh) with a 3G radio on-board. When that release will happen, well, we just don’t know yet. The recently closed “Issue 3902″ over at Google’s Android Code site tells the whole story. After months of requests from users and IT departments alike, support for Cisco AnyConnect VPN will be found in Ice Cream Sandwich. A Googler confirmed the addition in the issue’s comments thread. Support for AnyConnect has been found on many other platforms, yet has been surprisingly absent from Android builds to date. Wit each release Google seems to target enterprise users more and more, and this should go a long way for Android support in the workplace. I was among the people hyped about the surfacing of a PlayStation tablet or better yet two such models from Sony. I’m talking about the Sony Tablet S and Tablet P models, that were announced months ago. We’re talking about two very interesting devices, one with a 9.4 inch diagonal and a folded magazine design and the other with a clamshell design. I’m here to analyze the folded magazine, Sony Tablet S, that’s frankly a letdown for me. Let the record show that I own a PS 1, PS 2, PS 3, PSP and a bunch of other Sony gear lying around the house. However, this tablet doesn’t fit the picture. Right from the unboxing moment I came across a device that lacks a microUSB cable in the box and that’s just rude coming from Sony. Next, I noticed a good thing: the device updates to Android 3.2 as soon as it gets the first taste of WiFi. The design is truly original, with the purpose here being a perfect angle for viewing and usage without having to incline the slate too much. You’ll just need to rest it on the tablet and watch movies or play games with ease. Also, the 9.4 inch diagonal makes sense, considering that you can actually hold the device with both hands and use it as a portable console. This is actually a thin tablet at 10.1mm and it weighs a pretty light 598 grams. The tablet supports a 1280 x 800 pixel resolution, it comes with a 5000mAh battery, a dual core Nvidia Tegra 2 1GHz processor and 16/32GB of internal memory. I tested the WiFi-only unit, but next month we should be able to purchase 3G units of the slate. There’s also a 5 megapixel camera on board, that actually takes decent pictures and video, also supporting 720p HD capture at 30 fps. There’s even continuous autofocus when filming. Upfront there’s a 0.3 megapixel camera for videocalling. As far as connectivity goes, aside from the usual Bluetooth and WiFi you get a infrared connection, that turns the tablet into a remote for all your Sony gear inside the house, especially the Bravia TVs. Adding to the experience are an accelerometer, gyroscope and compass. As far as the software is concerned, you get Honeycomb with some shortcuts in the left side of the screen for quick access to email, the web browser and a reader. There’s also a favourites section near the Apps tag above, showing you the games you like to play the most, website bookmarks, favourite songs and videos. I have to mention that the battery of the device was disappointing, as well as the lag and sudden rotations of the screen from portrait to landscape. Also, the viewing angle for this slate is ridiculous and that’s bad if you’re claiming you’re one of the best multimedia tablets out there… Details in the full review below! The ViewSonic ViewPad 7e tablet is a 7 incher model with Android on board and a very affordable price tag of $200. This device is coming in October, that means that it has a week to go in order to get an official launch. We’re dealing here with a model priced just like the Amazon Kindle Fire and in the following lines we’ll find out if it’s worth the trouble. The ViewPad 7e will come to North America in the time frame mentioned above and it should support a 800 x 600 pixel resolution on the screen I mentioned. Among the specs there’s also a 1GHz processor, 4GB of storage, a micro HDMI port and a 3 megapixel camera at the back. Upfront we find a 0.3 megapixel ca for videocalling purposes and the specs list also includes a microSD card slot for up to 32 GB of extra storage. The price of $200 sounds great in comparison to slates such as the Motorola Xoom, that launched months ago with a $800 price tag. ViewPad 7e also comes with WiFi b/g/n and it’s not yet clear if we’ll ever see a 3G version launched in the States. Is fitness the new frontier? With smartphones and their operating systems becoming increasingly more sophisticated, the capability to track every nuance of your workout has led to a seeming resurgence in fitness related apps, accessories, and services. Sure, fitness tracking apps are as old as the smartphone itself, but big names not usually associated with such ventures are jumping on board. 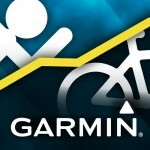 The latest is Garmin, who today announced their Garmin Fitness app for Android and iPhone. Also increasingly popular is the ability to upload and store exercise info in the cloud, which Garmin Fit accomplishes via Garmin Connect. Garmin isn’t totally new to fitness tracking, however. They have been making ANT+ accessories such as heart rate monitors for quite some time now. An ANT+ adapter will be available for mobile devices, but disappointingly only the iPhone gains support at this time. OLATHE, Kan./October 25, 2011/Business Wire -- Garmin International Inc., a unit of Garmin Ltd. (NASDAQ: GRMN), the global leader in satellite navigation, today announced Garmin Fit™ for iPhone and Android - its first fitness app that lets users track metrics such as speed, pace, distance, time, calories and with the help of Garmin accessories displays heart rate and cadence. Garmin Fit also maps and automatically uploads workouts to Garmin Connect™. Garmin also introduces its ANT+™ adapter for iPhone allowing users to use their Garmin ANT+ accessories with their iPhone. "Garmin Fit is the ideal solution for users who are new to the fitness tracking landscape and for those looking to stay totally connected," said Dan Bartel, Garmins vice president of worldwide sales. "To be able to utilize Garmins powerful fitness accessories with the same device that plays music, makes calls and uploads workouts automatically to share and analyze, makes Garmin Fit a must have app." Whether running on a local trail, cycling around the neighborhood or traveling for business Garmin Fit makes it easier than ever to see how far, how fast and where users have been. Garmin Fit ensures users will never be stuck without a way to track their workouts even when they forget to charge their Forerunner™ GPS enabled watch or fail to pack it for a trip. With the tap of a button Garmin Fit displays time, distance, pace and calories and even allows users to control their music from within the app. Never miss that important call – during a workout users will also be able to view and answer incoming calls and text messages without interrupting Garmin Fit. Upon completion of a workout, users will be asked to name the activity and will have the opportunity to input notes about how the workout went or what the weather was like. The data will then be automatically sent to the users account in the ever-expanding and free Garmin Connect™ community (http://connect.garmin.com). Here users can quickly and easily log their workouts, track their totals, set goals, share workouts with friends and family and participate in an online fitness community of more than 70 million activities around the world. Garmin Connect displays metrics such as time, distance, pace, elevation and heart rate. This information is shown through charts, illustrations, reports and a variety of map representations including street, photo, topographic, and elevation maps. Garmin Fit will display the previous 30 days of Garmin Connect history as well as charts directly on users smartphones — giving them an extra tool to achieve their goals. With Garmins ANT+ adapter for iPhone ($49.99 USD), users will be able to monitor and record their heart rate and cadence directly on their phone when paired with those optional accessories. One such accessory is a footpod sensor - which allows users who are training indoors to track their speed, pace, distance and run cadence. Garmin Fit is the latest solution from Garmins expanding fitness segment, which has spent more than 20 years developing technologies and innovations to enhance users lives, making Garmin a household name in the automotive, aviation, marine, wireless, outdoor and fitness industries. For more about features, pricing and availability, as well as information about Garmins other products and services, go to www.garmin.com,www.garmin.blogs.com and http://twitter.com/garmin. 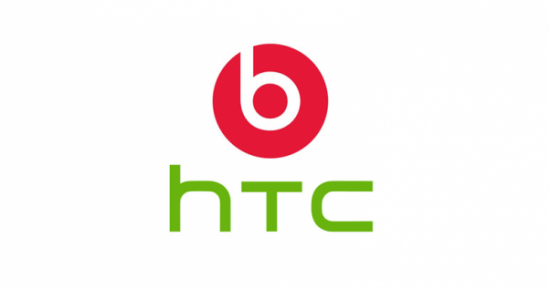 Beats Audio looks to play a key role in many of HTC’s upcoming high-end Android devices, one of which will be the long-rumored HTC Rezound (Vigor). That device is rumored to launch in early November on Verizon, and wouldn’t you know, HTC has sent out invites to a press event scheduled for the 3rd in NYC. The Beats logo features on the invite, raising further the possibility that the Rezound will be formally unveiled. As always, we will be providing live coverage and first impressions of everything HTC has to throw at us, so mark the date. It seems these digital watches are becoming all the rage these days. After Sony Ericsson launched their LiveView accessory to little fanfare, Motorola decided they wanted to one-up them with the MOTOACTV. 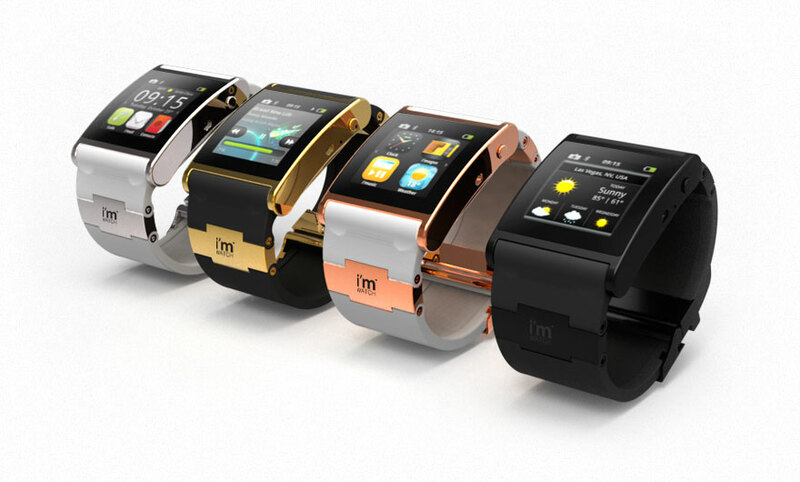 But yet another competitor has stepped into the fold.The company’s name is i’m and their product’s name is the i’mWatch. Sounds odd, right? We shouldn’t judge a book by its cover though. The i’mWatch makes use of the Android operating system to create the “smart watch” experience that’s looking more and more exciting as OEMs take on the idea. You can receive and accept calls from the watch as well as read text messages. Another area they hope to have the other products beat in are apps. Their app store (called the i’market) will house a number of apps adapted for the small display. Facebook, Twitter, weather and more are just a few of the obvious we imagine will be on there. They also have i’music, a music subscription service that’ll allow you to listen to millions of songs on the go. The watch also looks good aesthetically. 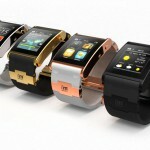 i’m is all about style and they bring a simplistic but elegant design with the i’mWatch. They’re aiming to come to market with the four great designs you see below. Depending on its price (which, alongside a launch date, has yet to be announced) this could be a hit. Our friends from the excellent and creative GO Team have created Go Locker. It’s a lockscreen replacement app and was built on top of their popular and flexible GO Launcher EX. 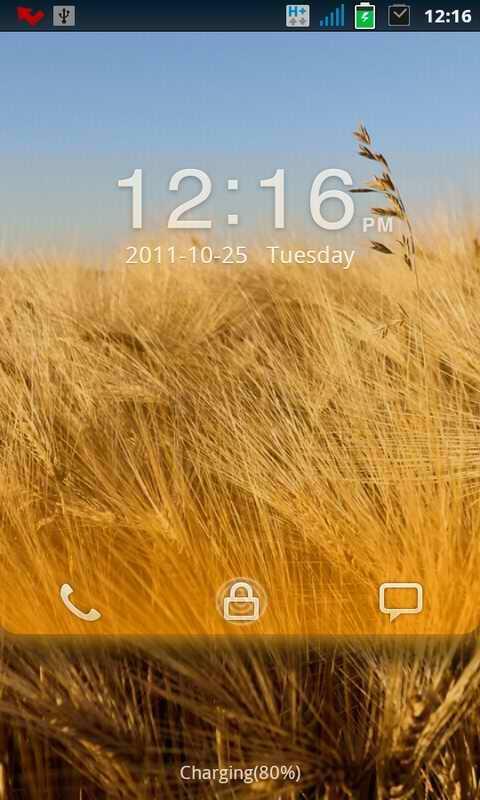 Just like its homescreen replacement counterpart, Go Locker emphasizes themes, customization and beauty in their offering. Most of the themes allow you to unlock the phone to either the homescreen, the dialer or the messaging app. Some of them also add the ability to unlock to the camera application. As you can see in the screen above, you’ll also be alerted to how many miss calls and texts there are. Motorola Xoom 2 Sketch Appears at the FCC? There’s a mysterious bare sketch that might portray the Motorola Xoom 2 and said drawing has just appeared at the FCC. Test reports claim that we’re dealing with a 1.2GHz device with an unknown number of cores, 1GB of RAM and 16 to 30GB of memory. Xoom 2? A qHD screen is also in the mix, with a resolution of 1280 x 800 pixels and HDMI out is there too. Wireless N and Bluetooth round up the specs list of what sounds like a normal tablet with Honeycomb. The identity of the model is not known and if it’s a dual core affair with Android 4.0 I’d be highly disappointed. The only thing that could make a difference here would be the camera, but I highly doubt that. Maybe the CPU is quad core after all, but that would mean it will launch in 2012, since the ASUS Transformer Prime is the only quad core tablet this year… or so say the officials of Nvidia and ASUS.